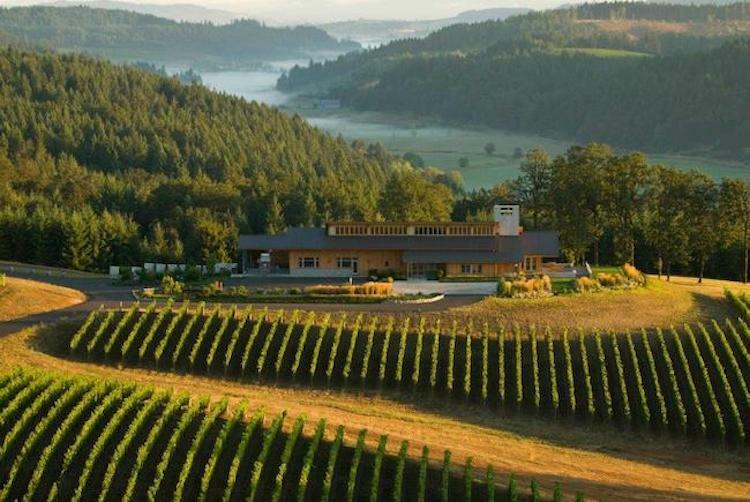 Oregon’s most celebrated wine region offers stunning scenery, well balanced wines and plenty of small town charm. When my husband and I visit our families in Portland, Oregon, we always try to escape for a day to the Willamette Valley. As you drive along the windy country roads leading to the wine region, it feels like you’re going back in time. The suburbs give way to gently rolling hills dotted with silos, slightly leaning barns and of course wineries. The climate and the cold weather Pinot Noirs and steely Chardonnays remind us of our favorite wine region Burgundy but it has its own identity. Small towns like Carlton, Dundee and Newberg still offer locally-owned bakeries, bookstores and markets, giving you a slice of Americana to go alongside the region’s elegant wines. The tasting room at Soter has a modern farmhouse vibe. 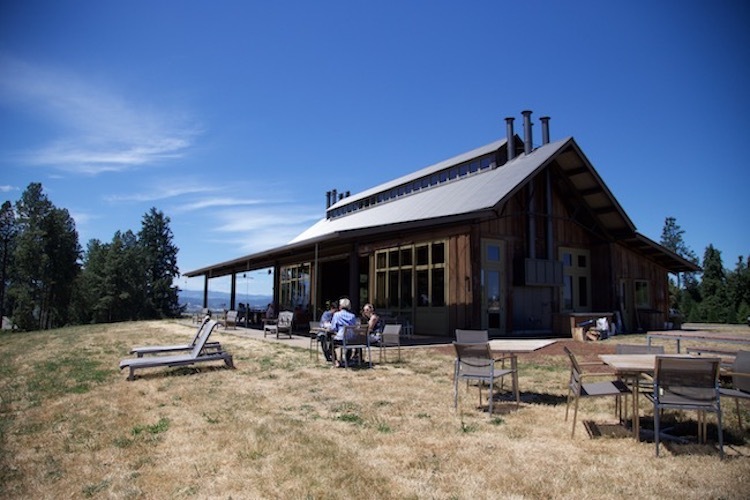 Soter Vineyard’s dreamy hilltop tasting room is where you’re most likely to find the cool kids from Portland. Reminiscent of a modern farmhouse, the lofty space has an open kitchen (where the winery’s chef makes snacks like focaccia bread for purchase and small bites to pair with wine) and large glass doors that open onto a patio. Staff typically greet you at the door with a glass of the winery’s excellent rosé before escorting you to your tasting. It might be located in the main building, on the terrace or just down the hill at a small cabin with impressive views of the valley. 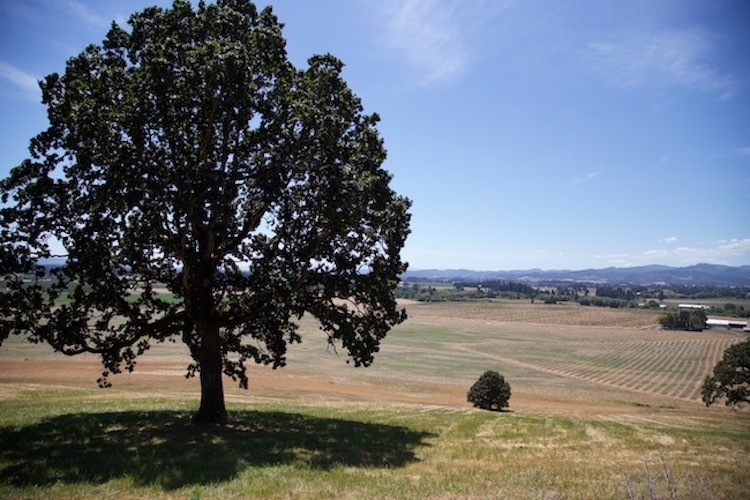 The picturesque Willamette Valley wine region. Penner-Ash offers impressive valley views. Courtesy Penner-Ash Wine Cellars. Penner-Ash Wine Cellars offers excellent wines and an impressive rustic yet modern winery nestled into a hillside. Designed by WaterLeaf Architecture, the winery celebrates the Northwest with local, natural materials and clean, simple lines. Wrap-around windows reveal views of both Mount Hood and Mount Jefferson on a clear day. Visitors enter the winery through handcrafted doors that lead to a large tasting room on the top floor. Perhaps no other Willamette Valley winery has such deep ties to Burgundy as Domaine Drouhin, a wine estate near Dundee. Joseph Drouhin founded a winery in the hallowed French wine region in the 1880s. A century later his descendants purchased land in the Dundee Hills in the late 1980s recognizing the valley’s immense potential. The four Drouhin siblings still own and operate both wineries including fourth-generation winemaker Véronique Drouhin-Boss, Vineyards Manager Philippe Drouhin, US Ambassador Laurent Drouhin and President of the Company Frédéric Drouhin. Véronique employs biodynamic and organic winemaking practices to create her elegant Burgundian-style Oregon wines. 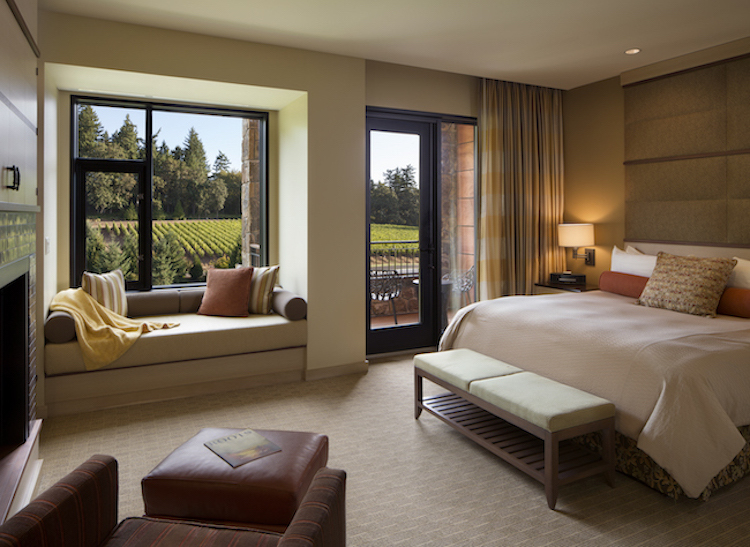 A spacious guest room with vineyard views at the Allison Inn & Spa. Courtesy The Allison Inn & Spa. 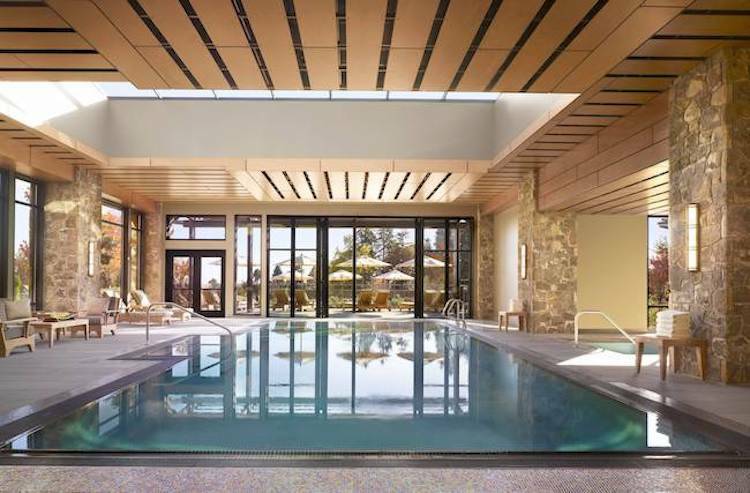 The indoor pool at The Allison Inn & Spa. Courtesy The Allison Inn & Spa. These uniquely decorated apartments offer a slightly more cosmopolitan experience in downtown McMinnville. The 3rd Street Flat’s 11 apartment are located in two buildings: the 19th century McMinnville Bank (219 NE Cowls, McMinnville, OR 97128, 503-857-6248) and the Odd Fellows Lodge (555 NE Third St., McMinnville, OR 97128) built for an international fraternal society in 1909. Each flat sports its own look and feel from the Parisian inspired Pied-à-Terre to the mid-century style Aquarius. McMinnville is home to independent wineries, craft breweries and restaurants including Nick’s Italian Cafe, Bistro Maison and the Spanish tapas restaurant La Rambla. Have any favorite wineries in the Willamette Valley? Let me know in the comments below. Planning to visit Portland? Check out my top ten favorite things to do in the city here.